My DE season came to a successful close last weekend with a 2 day event at VIR on the full course. This marked by 50th track day since I began 4 years ago! The event was put on by the Carolina’s chapter of PCA. It was very well run and organized. Saturday morning started out wet and grey. I had randomly picked a spot in the paddock when I arrived. The first session the guy to my left in a BMW M3 put his car into the tire wall and was finished for the weekend. The second session the guy to my right in a Honda S2000 put his car into the tire wall and was finished for the weekend! Not an auspicious beginning but by the time I got on track for the 3rd session I was taking it pretty easy, as was everyone else, as we managed to get through our session uneventfully. The track dried out and stayed dry for the rest of the weekend. I had a great time! One was the removal of my muffler when I went off track. One was a sway bar link that came loose. So this car has proven to be very reliable and well sorted out. 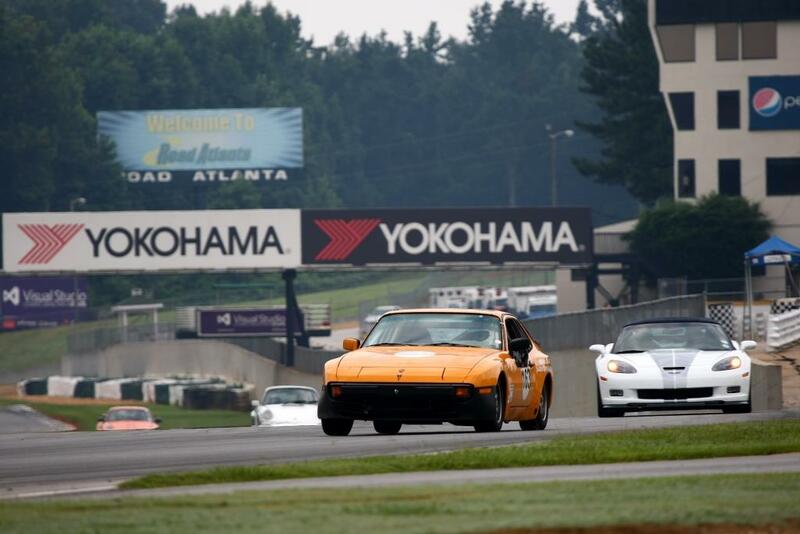 The 944 platform is very forgiving and a good vehicle to learn how to drive on track. A little underpowered for sure but a heck of a lot of fun. I have a shopping list of things to do over the winter but nothing major. I’m looking forward to more fun next year.